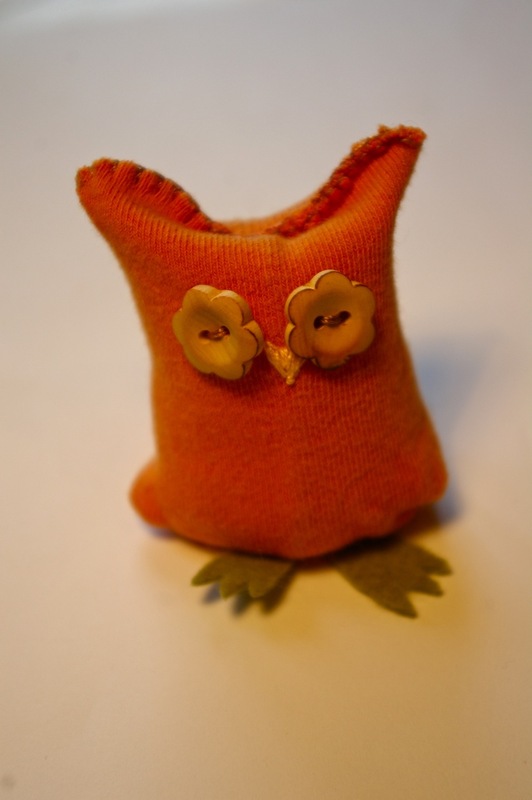 At the WI meeting last week Eirlys at Scrapiana showed us an up-cycled owl made from a baby sock. I liked the idea and thought I would see what I could do. 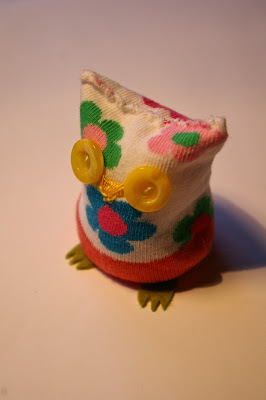 The first one really didn't work; rather more odd Japanese cartoon than owl. 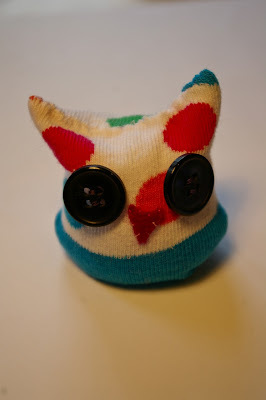 However, I persisted and was much happier with the second owl - smaller eyes, closer together and a plain sock. The third was...ok. I think I prefer the plain coloured sock, rather than patterned. 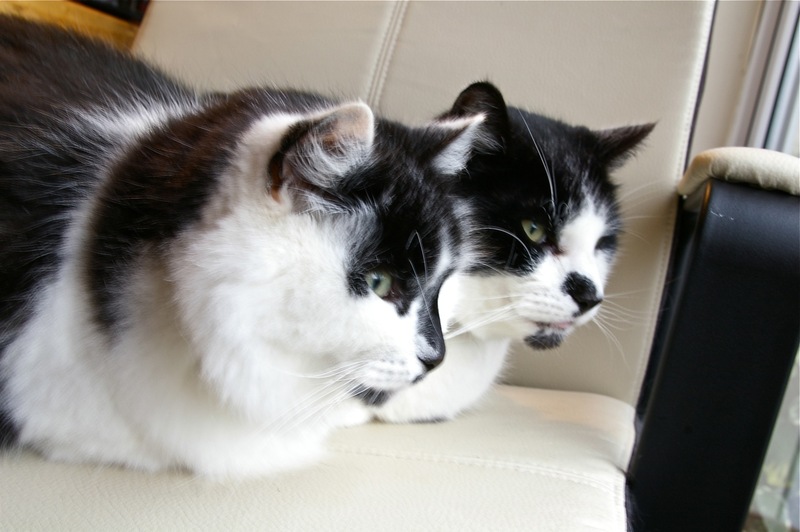 Once again the cats have taken over my chair! 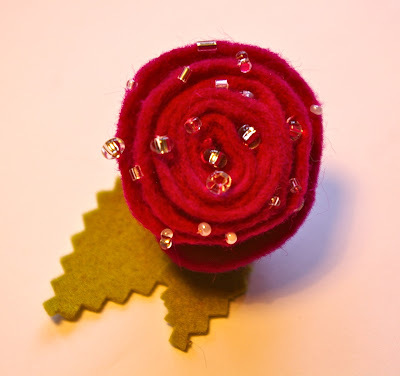 Today is Mothers' day (at least in the UK) so Mark and I took my mum and his parents out for lunch, bought them jasmine plants and planters and I made them a card and a rose brooch each. 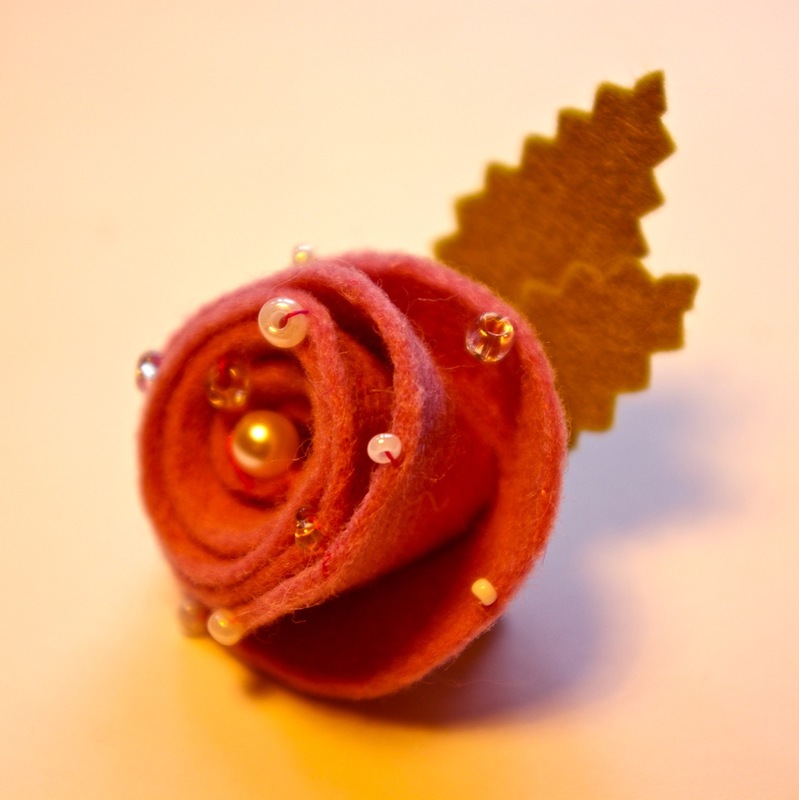 I experimented with adding beads to the roses - I think a few beads look nice, but got carried away with the second one. The colours have not come out well - they are the top one was actually a pale lilac while the second was a rich pinky purple. Both mums seemed to have a nice day and liked their gifts...and yesterday my friend from choir came over lunch and bought me lovely flowers too! 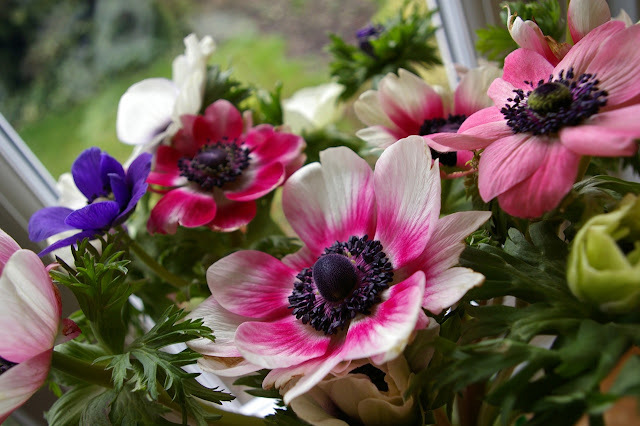 Anemones; one of my favourites. ...and it really does seem that Mark will have to buy you a new chair. Or rather, another, chair. Obviously this one belongs to the cats! 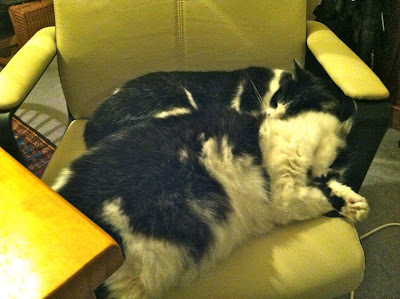 The trouble is, if Mark buys another chair, the cats will just have one each! 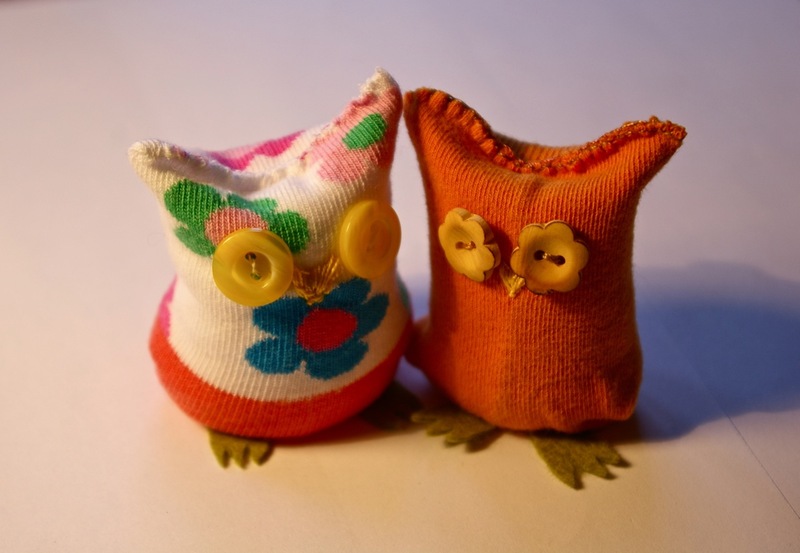 Forgot to say; the owls are really cute! Absolutely - the hot wash for the socks was just to be sure they were clean, not to try to felt them. It's funny how it feels far more odd using second-hand socks than it does using second-hand gloves! I am biased I know, but I think the cats are pretty adorable too!